The FSP was founded in Rovereto, Trentino, in Italy, on 26 March 2013, by its current Chairman, Sergio Poggianella, and later that year, on 9 August, was recognised as a legal entity by the Commissioner of the Government in the Autonomous Province of Trento. Non-profit, the Foundation expresses the intent of the Founder to create a structure capable of managing the preservation and enhancement of assets, which consist of approximately three thousand works of art and artefacts, collected by the Founder both in the course of his career as a gallery owner and exhibition curator and during worldwide visits, and all donated to the Foundation. Also part of the donation is a specialized library with four thousand books on anthropology and on modern and contemporary art, as well the Founder’s personal archive, with collections of photographs and travel documentaries, all to form a single online digital archive. 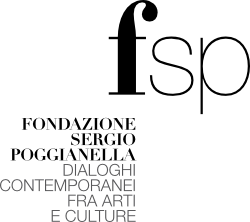 The FSP was created to make available this heritage and to promote study and research based on the collections, comparing and allowing dialogue between artistic production by different cultures and generations, offering opportunities for scientific investigation and at the same time wide dissemination. Designed to be non-localized and agile, the FSP will allow creation of a network of people and institutions supporting trans-national and cross-cultural artistic projects and events, with particular attention to the contemporary, but with keen interest in the past too.